GEMS Girls’ Clubs is a global ministry active in 17 countries, and counting! We seek to help bring girls everywhere into a living, dynamic relationship with Jesus Christ! In order to support our global work, we offer a Global Partnership. Global Partners are passionate about helping GEMS find additional ways to minister to girls around the world. 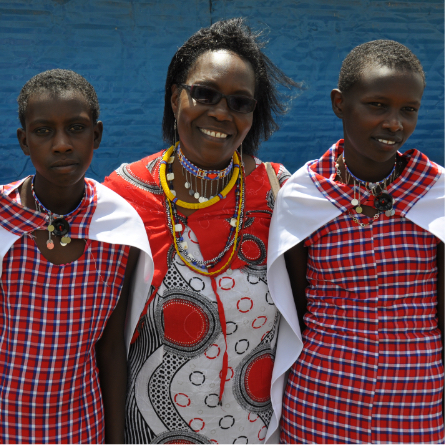 From Kenya to Kansas, GEMS is committed to making sure all of our resources point every girl—no matter her location or her background—to the truth of who she is and Whose she is. With a $250 contribution to GEMS Global ministry, our Global Partners will be doing just that. Funds raised this year will primarily go to support our Regional Training Manager in Kenya, Dr. Munyiva Kitavi, and her work as she starts and supports clubs throughout Kenya. Become a Global Partner today by completing the appropriate form! Make your $250 donation by January 31, 2019. Consider getting your girls involved in fundraising! We’ll send your Global Box right away and will send quarterly updates on how your partnership is making an impact. As a Global Partner, you will receive a box filled with brand-new resources to help your girls develop a global perspective. 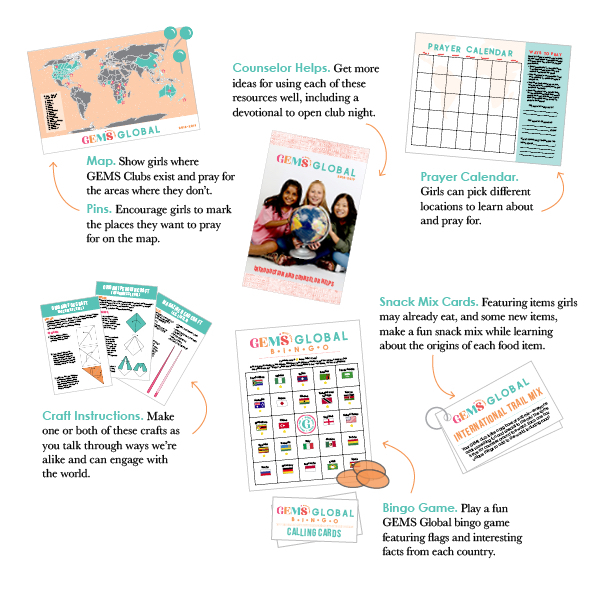 The 2018-19 Global Box contains one night of curriculum for you to use with your girls, or you can use the pieces in the box throughout your year. Included in this year’s box is a large prayer map to hang on your wall and a prayer calendar, inviting you to pray for GEMS around the world. Play a fun and educational game of Global Bingo and make creative origami crafts all while learning about countries around the world and ways you can pray for the GEMS ministry in those areas. A devotional, worship song ideas, and more are included within the booklet included in the box. Have questions about a Global Partnership? Please email hello@gemsgc.org.